This is a chance to pop down for a cuppa and chat to local adults of all ages. 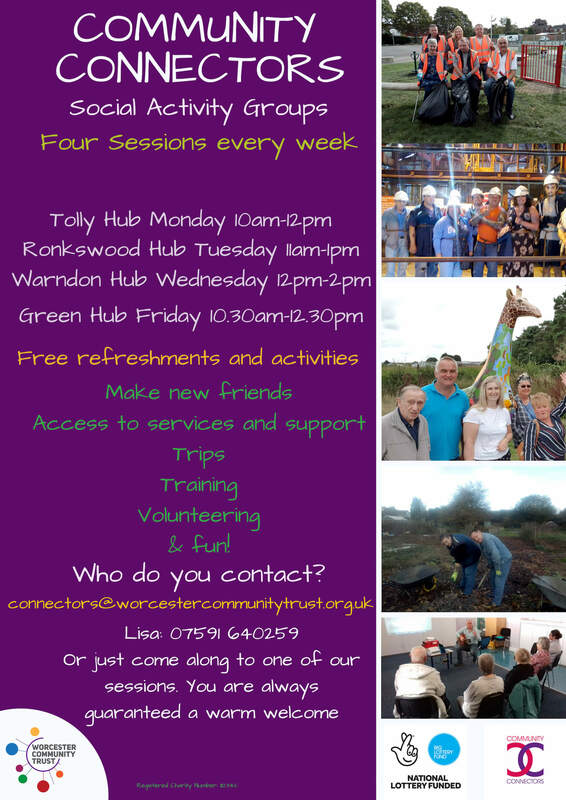 Community Connectors will be on hand to talk to you, to listen to you and give information about what is going on in the local community. This is a friendly group who just meet up and socialise over a cuppa and healthy snack. For further details on Community Connectors please visit our webpage. Lifestyle courses run throughout the year with a variety of topics including: managing stress and anxiety, re-building self-esteem, incorporating exercise into daily life, managing finance and much more.